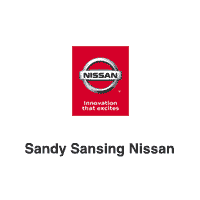 At Sandy Sansing Nissan in Pensacola, FL we believe you deserve the best service available at the best price. 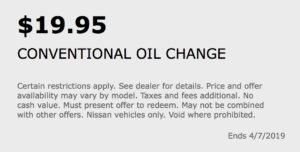 Currently, we are offering 15% off savings on any service or $19.95 on any conventional oil change. 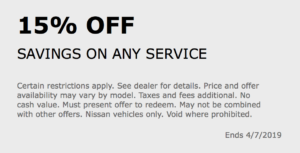 Please mention these ads to your service advisor to claim your offer. See below for details and stipulations. Click Here or Call (850) 253-7842 To Schedule Service.